After thrilling C64 gamers with his masterpiece HESSIAN, Lasse Öörni returns to the C64 with the brand new action-packed run & gun arcade-adventure STEEL RANGER. Take control of a cybernetic hero and explore a massive world filled with traps, enemies and huge boss encounters. If you liked HESSIAN you are going to love STEEL RANGER! The COLLECTOR'S EDITION BOX SET is presented in a stunning fully printed glossy box that contains the game on floppy disk, soundtrack CD, artwork stickers, a deluxe art card, printed instruction manual, badges, glossy game artwork poster, printed map of the game world + more! The PREMIUM PLUS DISK EDITION features a 5.25" floppy disk presented with full colour double-sided artwork in a clear plastic disk case. The BUDGET DISK EDITION features a 5.25" floppy disk presented in a full colour glossy disk-sleeve with a glossy disk label and printed instruction booklet. As humanity is forced to expand beyond Earth, they come into contact with a hostile machine intelligence born from their own creations. By initially using military shipments thought to be lost, it has mined other planets for resources and built a vast offensive fleet. Now mankind is stranded in a desperate war, with safety nowhere to be found. United Military patrol ship "Scourge" led by commander Archer Hess picks up an unusual transmission sent from a barren planet - Ones & Zeroes forming an Omega symbol. Though possibly a trap, the ship is cleared to investigate. Its crew is equipped with self-charging "Ranger" armour suits, designed for combat against overwhelming enemies in any environment. 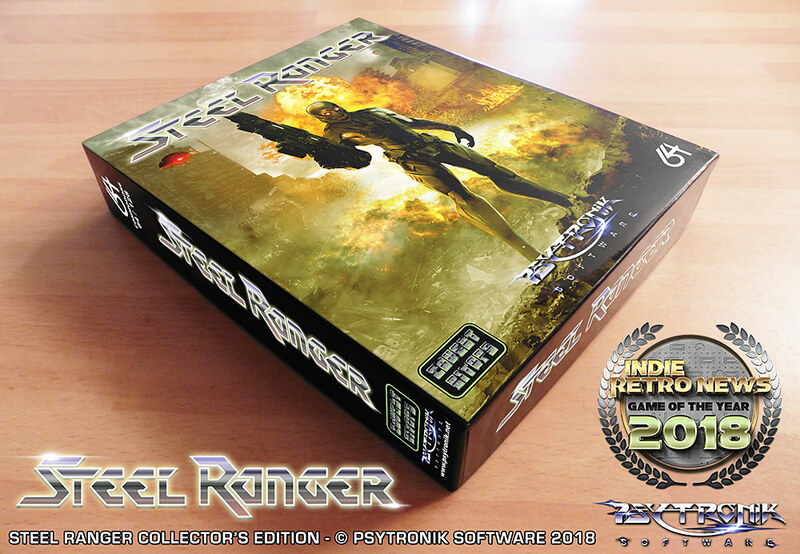 Steel Ranger is a game for the Commodore 64. You can play the game in a C64 emulator (we recommend VICE) or you can port the game onto real C64 hardware if you have the resources to do so. The download file features the .d64 (disk version), .tap (tape version) and .prg (c64 program files). NOTE: The cost of this purchase does NOT include VAT. The VAT will be added on during the checkout process, the amount of VAT varies depending on the VAT rates that apply to the country you are ordering from. A massive achievement! Tense gameplay with fantastic controls, graphics, music and great performance. Upgradeable equipment, different special abilities, interesting story. A great game indeed, very playable and totally worth the money. Simply an amazing game. Just as playable as any new game released today. Multidirectional scrolling and shooting, saves, great soundtrack, graphics and story. Simply breathtaking. You guys are amazing! Everything has come together in this game just perfectly. 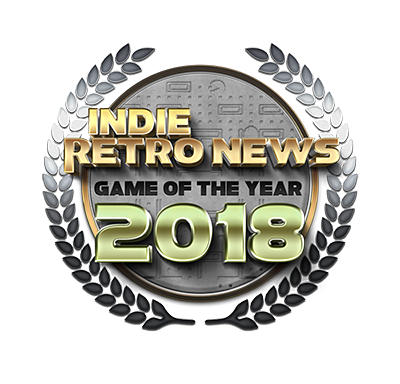 It takes the best elements of games like Turrican and Metroid, adds a fantastic soundtrack to the mix and puts it all together into this masterpiece. Instant classic! Great game with nice audio. Worked well on my sd2iec. Thanks! Wow! looks amazing! i loved the music!